The Welsh Grand National will be held on Wednesday December 27th, 2017. The Welsh Grand National has always been one of the big highlight over the festive Christmas period. With 3m 5 ½f to cover at Chepstow racecourse then stamina is a ‘must-have’ requirement when it comes to finding the winner of the Welsh Grand National, while if you like your trends you might want to know that 14 of the 15 winners have been aged 9 or younger, while 12 of the last 15 winners carried 11-0 or less. Is the Welsh Grand National A Good Guide To The Aintree Grand National? The short answer to this question is – not really. With the last horse to win both races in the same season being the Jenny Pitman-trained Corbiere. He won the Welsh National in 1982. Then, he landed a famous National double when winning the 1983 Aintree Grand National 3 ½ months later. However, there is a twist in the tale when it comes to linking the Welsh and Aintree Grand Nationals. Not many horses win these races in the same season. But we have had several land both races at some point during their careers. Bindaree took the Aintree Grand National in 2002 and then followed-up in the Welsh version in 2013, while Silver Birch did it the other way round. He took the Welsh National in 2004, before going on glory in the Merseyside marathon three years later in 2007. Earth Summit, who won the Welsh National in 1997, and then the Grand National in 1998, is another example. Last year (2016) we saw the classy Native River win the race. This Colin Tizzard runner was sent off as one of the shortest prices in recent years (11/4 fav). But he didn’t let favourite backers down. He went on to finish third in the Cheltenham Gold Cup that season. Trainer Jenny Pitman landed the race three times in the 1980s. But being that she no longer trains we won’t see horses from her stable in the 2018 race. The same applies to the Martin Pipe yard, who won this in 1988, 1989, 1991, 1992 and 1993. But son – David – is now at the helm at the Pond House yard. Despite not training a winner under his name, they are still a stable to look for. In more recent years the Lee family (Richard and Kerry) have saddled three of the last six winners between them. 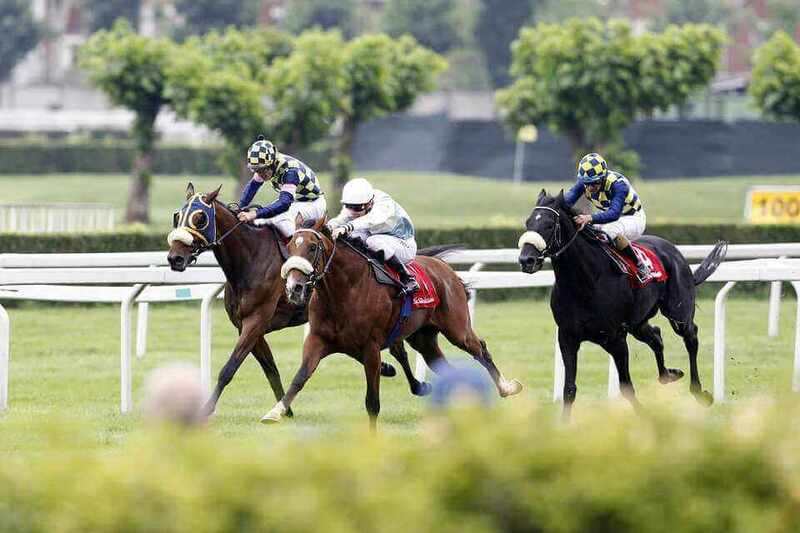 While the powerful Paul Nicholls yard has taken the race twice – 2004 and 2005. Jonjo O’Neill, (winning 2002 and 2010), plus the Nigel Twiston-Davies (winning1997 and 2003), are other trainers to note. With a big field expected, betting on the 2017 Welsh Grand National is expected to be competitive. Be sure to shop around for value. Plus look out for any Welsh Grand National betting offers in the build-up to the big race. Just like the Aintree Grand National, we can expect leading bookmakers like Ladbrokes, William Hill, Paddy Power and Coral to attract customers with Welsh Grand National Offers. Extra place each-way value with the industry stand top four places being increased to 5, 6 or even 7 places is a common Welsh National offer, while others might refund bets if your horse falls, unseats or is brought down in the race. Beware The Bear – Surprisingly, the Nicky Henderson yard have never won the Welsh Grand National, but if this improving stayer lines-up then they’ve a fair chance of breaking that duck. This 7 year-old ticks a lot of the main trends and warmed-up for this race with a 2 ¼ length win over another big hope – Bishops Road – at Newcastle last time out in the Rehearsal Chase. That was over 2m7 ½ f in soft ground and a 4lb rise for that win looks fair. He’s won over 3m before, but was well beaten over 4m at the Cheltenham Festival back in March. Those against him might look to the 3m5f trip as being a negative. Chase The Spud – This Fergal O’Brien-trained 9 year-old is another that looks to have a lot going for him. He’s already a National winner after landing the Midlands National at Uttoxeter back in March. He showed he’s trained on over the summer with a return win at Haydock last month, but the handicapper has had his say by whacking him up another 9lbs. That said, with just 13 career runs over fences then this 9 year-old could have more still to come over the bigger obstacles and with proven stamina and form in soft-heavy ground then he’s a player. Ask The Weatherman – This 8 year-old hails from the Jack Barber yard that are more-famed for having point-to-point, or Hunter Chase runners. This horse has won 9 of his 10 points and so far has won 2 of his 3 runs over fences under rules. He’s got age on his side and many might remember him as running a solid seventh in the Foxhunters’ Chase at the Cheltenham Festival back in March. He’s won over 3m4f and on heavy ground so conditions look fine, while providing some of those at the head of the weights run then he could get in there with a very low weight which would make him very dangerous in a race like this. Rock The Kasbah – The Philip Hobbs yard have history in this race, after landing the pot in 2009 with bargain buy horse Dream Alliance. This 7 year-old looks another fast-improving staying chaser that was a fair sixth in the Bet365 Gold Cup at Sandown last April. He’s improved on that since by winning on his return to the track in October, and with that success coming here at Chepstow then we know he handles the undulations of this sometimes-tricky course. He’s won in soft ground and having been beaten just 2 ¼ lengths over 3m5f in the Bet365 Gold Cup at Sandown suggests the trip will be fine too. Final Nudge – At 8 years-old this improving stayer is another with time on his side. He ran a blinder to be a close second in the Badger Ales Trophy at Wincanton back in November and is only 6lbs higher here. Conditions were desperate that day so all fine on that front and he’s certainly worth another crack over this sort of trip. He fell four out in the Midlands National won by Chase the Spud, but was in the process of running a big race so connections will be hoping he can make amends in this version on the National. Bishops Road – From the Kerry Lee yard that won this in 2015, while Kerry’s father, Richard – also had a top record in the race when winning it in 2011 and 2013. Yes, this 9 year-old was well-beaten in the race 12 months ago (10th of 20), but looks set to get into the race off a 10lb lower mark this time. With that in mind we can expect the horse to get a lot closer this time. He’ll be warmed-up for this with a decent second in the Rehearsal Chase at Newcastle behind Beware The Bear. He won the Haydock Grand National Trial (3m 4f) back in 2016 on heavy ground so no issues with conditions. Wild West Wind – If making the final runners then is one that could be dangerous off a fairly light weight. This Tom George runner is just 8 years-old and heads here having won three of it’s last four. Yes, he’s quite inexperienced over fences with just four runs, but that should also spell improvement. Add in that he’s a course winner, when winning over 3m here in heavy ground last time then he’s got a lot going for him if coping with the step up in trip – this will be the furthest he’s gone. Vicente – Owned by Trever Hemmings, who loves having National winners. Many Clouds and Hedgehunter have been heroes for him in the Aintree Grand National but so far the Welsh version has eluded him. However, with Vicente already a National winner after taking the Scottish race in April 2017 then we know this trip will be fine. He returned this season with a fine second at Cheltenham over 3m3f in soft ground and is only a pound higher. Trained by Paul Nicholls, who have won this race twice before, then that’s a further plus, but those looking to take him on might cling to the fact his better form has been on quicker surfaces. Mysteree -The Michael Scudamore yard took this in 2012 so certainly know what’s required. This 9 year-old is a consistent chaser too, having won 4 of it’s 9 starts over fences and finished in the top three in 6 of his 9 runs over the bigger obstacles. We last saw him running second to Chase the Spud in the Midlands National back in March so some might question his fitness. However, he’s got a cracking record fresh – winning first time out for the last three seasons. He’s won over 4m too and in soft ground after taking the Eider Chase at Newcastle last February. So getting the trip and acting in conditions will be fine. He looks to have a great chance. Each of the last 15 winners had won between 1-5 chase races before. Only two of the last 15 were Winning favourites.